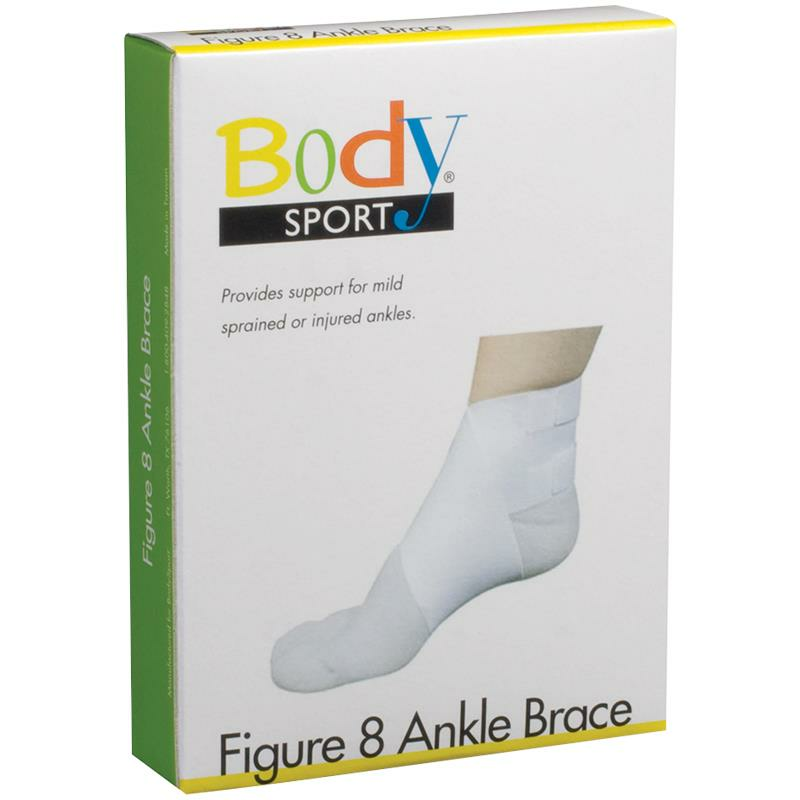 BodySport Figure 8 Ankle Brace provides support for mild sprained or injured ankles. It is a three inch wide ankle wrap that provides adjustable compression. Its elastic prevents wrap from slipping or becoming loose. Comes latex free.